VPT Rad attends a variety of events and trade shows in the radiation hardened electronics and biomedical device industries. Visit us at our upcoming events to learn more about how our radiation laboratory services can provide solutions for your rad hard testing or gamma irradiation needs. 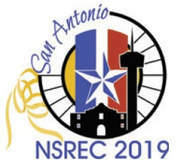 Please see the NSREC website for more information. Please see the Small Satellite Conference website for more information.